I’m not sure, but I do know how I want to end…with everyone knowing they can feel as good as I do. For the first time in years, I feel TOTALLY AWESOME! And, I’m prescription drug free! I came to see Dr. Christine Hoch on December 1. I was seeking treatment for pain in my neck, shoulder and the top part of my arm. The area between my elbow and wrist felt dead with a very annoying tingling sensation and my fingers were numb. Not only did I think this was going to be a waste of time and money, I figured I would still be in pain. After all, none of the prescriptions I was taking relieved the pain, why would chiropractic care? Dr. Hoch did her initial exam and took x-rays. I was then put on a table for EMS and ultrasound prior to getting adjusted. After a couple visits, the pain subsided tremendously. After a few more, all the pain was gone! But wait! This is only the beginning. During one of my visits, I was given a flyer for a free workshop on acupuncture for weight loss. When I asked Dr. Hoch about acupuncture, it opened up a conversation about other areas of my life I wished to improve. I told her for the last sixteen years or so, I have been seeing many doctors for what some said was menopause and others said was depression. They all had the same answer – drugs. For a long time I refused to go on any medications. Then my symptoms got so bad, I could no longer function day to day. So I began taking these medications for many years and slowly I got to the point where I could function again. Although I was thankful for feeling better, I couldn’t accept the idea of taking drugs for the rest of my life. As I was continuing my treatments with Dr. Hoch I realized my whole being was changing. I could feel how much better I felt in every aspect of my life. I knew it was time to try to get off those meds! One day Dr. Hoch asked me, “Why are you so afraid to go off your meds?” The answer was that I had tried many times in the past and after a couple of days EVERYBODY would notice the difference, and it wasn’t for the better. So I would start taking the meds and it would take a while for the meds to be effective again. Dr. Hoch told me withdrawal from the anti-depressants and anti-anxiety meds will make me feel worse initially, but should only last about a week or two at the most. She asked me to speak to my MD for the best way to decrease the dose in order to discontinue. My MD wasn’t willing to help me reduce my meds, so I asked my pharmacist for help – he was very supportive of my decision and told me exactly what to do. As I reduced my meds as my pharmacist advised me to, it was as though everything got slowly brighter, and I looked forward to my free time and spending time with family and friends (rather than “hiding out in my house”. What if I told you…You don’t have to struggle with hot flashes, night sweats, and lack of sleep? Can your chiropractor help you with hot flashes, night sweats, and poor sleep? Yes She Can!! That is exactly what Dr. Hoch did for me! I have been seeing Dr Hoch for regular adjustments for my back, neck and etc… I was feeling really great (as far as my muscles and joints go). But, during one of my regular visits, I told Dr Hoch how I was struggling with all these menopausal symptoms: Hot Flashes, Night Sweats, Insomnia, Poor Energy…and I had been struggling with them for YEARS. She simply said, “I can help you with that”. I had tried traditional hormonal replacement therapy, and after much trial and error, it was determined that I was not a good candidate for it. Unfortunately, my doctor didn’t give me any useful alternatives, so, I had just continued to suffer. So, when Dr Hoch said she could help, I was ready to give it a try. She sent me home with a saliva and blood collection kit, and instructions on how to collect my samples. These samples were going to provide information about my hormone levels. I sent in my samples as it instructed. About 10 days later she received my results and put together a supplement plan, and a strategic dietary changes. We went over it all together, and I started making those changes and taking my supplements right away. I am very pleased to say that within a week to 10 days I started seeing some results! Almost immediately I was sleeping better. Fast Forward several months: I no longer suffer from hot flashes, night sweats, and I am getting a full nights rest! And…my energy is so much better! If you are struggling with any of these symptoms I would encourage you to talk to Dr Hoch about them, and hopefully you will get the results that I did. I only wish I had asked for help sooner! Dr. Hoch is a miracle worker!! I have been battling my weight for years well ever since the birth of my now 16 yr. old son; in addition to having a full hysterectomy, my gall bladder, as well as, my appendix removed and then neck surgery a few years later.. So after talking with Dr. Hoch our next step was to alter my eating selections removing things my body didn’t process well. (Gluten) So this was pretty much everything I ate ALL THE TIME!! But enough was enough. I was tired of feeling like this and feeling uncomfortable in my own skin…. Soooooo sticking with my regular adjustments, along with watching more closely what I was eating, and taking the right nutritional supplements…. I lost a 33 LBS!! I AM HAPPY TO SAY I AM NOW DOWN 45 LBS! I LOVE that I work with someone that cares so much about her patients and helping them feel 100%!! In my years as a fitness professional, I have experienced many forms of alternative healing –Chiropractic, Reiki, Alexander Technique, Massage, Shin Jyutsu, and today Acupuncture. Acupuncture is a Chinese therapy that uses small needles inserted into the skin to treat pain by balancing the flow of energy – qi which flows through the pathways of the body. It is shown to be extremely effective in treating pain issues in the body as well as improving the function of dermatological, neurologic, circulatory, endocrine, and every other system that operates the body. I have been dealing with ongoing neck and ankle issue that led my chiropractor Christine Hoch, to recommend acupuncture. She used a technique called circling the dragon, which is basically surrounding the areas of inflammation with needles. Lying on my stomach, Dr. Hoch began inserting needles into my neck – there was no pain, just a little pressure. When one needle was inserted there was an extreme burning sensation, Christine explained that was the source of my problem, she took the needle a little deeper, while rotating it and the burning went away. Once all the needles were inserted, I relaxed comfortably for 30 minutes and allowed my body to feel the different sensations. It first I felt a heaviness on my right side – my tighter side – and my hands got really cold, then I felt the my body pulsing and readjusting itself. It was like I was being stretched and realigned without anyone touching me. I could feel little tingles, similar to a small electrical current that would pulse different areas of my body. Once the needles were removed and I sat up, I felt a little disoriented for a few minutes while my body realigned itself. My energy was different, and I felt a little foggy. I drank water and had a high protein dinner when I got home while continuing to feel the energy flow. Within 20 minutes I had more energy, my mind was thinking clearer and I got more accomplished in one evening than I had all week. And the best part is my neck has more range of motion than it has had in a long time and I slept pain free all night, no matter which pillow I used. The next day, my energy was rocking – look out group fitness attendees and I am feeling clearer mentally as well as physically. What a great experience. I have been seeing Dr. Hoch since she opened her office in Southwest Florida. Initially she helped me with my back pain, neck pain and even helped me to resolve the numbness in my right arm and hand with chiropractic adjustments and physiotherapies. After those issues were resolved, I knew I had to take advantage of a wellness care plan to keep those problems from returning and to boost my overall health. One day when I went in for my wellness adjustment, I noticed she had some information in her office about a weight loss program. I couldn’t believe how many patients had done this program with her and shared their before and after photos…one of those people was my Aunt!! Many of the weight loss testimonials mentioned that the reason they did the diet was to resolve digestive issues (which it certainly did). What I hadn’t told Dr. Hoch, is that I was having some digestive issues of my own for quite a long time. I decided to ask about the weight loss program and after discussing it I knew that these digestive issues could be fixed and losing weight was an added benefit. I learned so much while on the diet. I learned to eat healthier by making better choices and controlling my portion size. I learned what foods created my digestive issues. I seem to have a sensitivity to wheat products. Now that I know this, I’m able to make the right choices and not just wonder what will set off my tummy. This is now a lifelong eating plan. I lost 8 pounds (and two pant sizes) in two weeks and all of it was fat!! People can’t believe how thin I am without all of the tummy bloat. Finally Chiropractic Care and Effectiveness! As a chronic back pain sufferer on and off for at last 12 years, I wondered if I’d ever find the practitioner who could finally assist me in reducing or alleviating my pain through a thoughtfully designed and tweaked health care program. Still dissatisfied with my condition, I decided to find a Chiropractor close to my home. I chose Dr. Hoch after reading her biography on line …even though her office was 39 minutes from my home. My symptoms consisted of mid and lower back pain since I had had 2 replaced hips, previous leg length differences and degenerative and herniated discs in the lumber 1-5 area. It also seemed that when under stress my back actually was worse and would “go out” on me causing me to be incapacitated by pain and unable to perform normal daily tasks for a good week or more. The fear of this would be on my mind each and every day. I had to take pain medication, occasionally muscle relaxants and had been told I need spinal injections! Skip to present…..after being treated by Dr, Hoch for just a month I noticed the pain lessening. In the second month, I had more motion in my back with regard to bending and twisting and the pain was lessened. I am now in month 4 of care and am without any pain and without fear or anxiety of it recurring and I am trusting completely an experienced, kind and caring chiropractor who has treated my condition with every chiropractic modality possible (including clean vitamins and supplements) which have made my life so much more enjoyable and allowed me and my husband to enjoy more activities, such as kayaking, golf, etc.., which were impossible to even think about before. I thank and highly recommend Dr. Hoch and her professional staff for a new beginning! I had several really bad episodes of vertigo and if you have ever had Vertigo you know how horrible and debilitating it can be. I was absolutely miserable. I had seen and tried numerous doctors and they all gave me the same you exercises to do. These exercises actually made the vertigo worse and made me deathly sick. Nothing was working to improve my condition. I shared with one of my friends what I was going through and she, in turn, shared with me about her daughter’s vertigo experience and how Dr Hoch adjusted her and she felt better immediately. This was something new! I wasn’t sure how a chiropractic adjustment was going to help my vertigo, but at this point I would have tied almost anything to make the dizziness go away. I called Dr. Hoch and she got me in immediately. I was so sick that I couldn’t even turn my head during the exam, or even lay down, but Dr. Hoch was great! She knew exactly what to do and she was able to adjust me. I couldn’t believe it – I felt 100 % better immediately. Dr. Hoch warned me that even though I felt so good, that it’s likely that the vertigo will return and that it will take more adjustments and time to keep it at bay long term. I remember driving home and calling my friend because I was so excited and thanked her over and over again for referring me to Dr Hoch. This was the break thru that I was looking for. I had a couple adjustments that week and the following couple of weeks and soon the vertigo was completely gone Thank you Dr. Hoch!!!! Plantar Fasciitis Pain gone after receiving Acupuncture! Hi. My name is Laureen Carr and I have been dealing with planter fasciitis on and off for a few years. This time it has been for about 6 months. I have tried lots of different things, anti-inflammatory from GP, yoga, compression sock, etc. I have always continued to be active throughout my issues because I choose not to rest for too long. I came to Dr. Hoch because I was tired of the constant pain. She sat down with me and we discussed my options…acupuncture seemed like a good option for me. After just TWO treatments I am happy to say my foot feels so much better! I am running without pain and running without compression socks!! I am about 85 – 90% cured! I cannot believe how quickly it worked!! I would like to mention besides the proper treatment, the atmosphere at her office is very comfortable and enjoyable! I would highly recommend Dr. Hoch and her office for a number of services! Thank you so much Dr. Christine Hoch! After 6 years living with pain – it’s so wonderful to finally have relief! I had a total knee replacement in 2010, and even after 5 months of physical therapy I wasn’t able to bend it fully and I a lot of pain, and burning, and stinging constantly and swelling. I went to another orthopedic doctor for a 2nd opinion and was told he wouldn’t even touch my knee for at least a year. After the 1 year was up, I went back and he did a surgical revision and changed out the plastic in my knee. I then went thru several more months of physical therapy but the pain, burning, stinging or swelling didn’t improve at all. I returned my orthopedist several times for shots in my knee that would temporarily relieve the pain. I wanted long term relief and I didn’t want any more shots, so I went to see a chiropractor who told me my back was causing the pain down my leg but even after many treatments with him I had no relief. During this time, I lived off of many different prescription drugs trying to get relief. I also saw an acupuncturist over 20 times which helped very little. So over the past 6 years I’ve just learned to live with the chronic pain and all the swelling. Then last November I was in St. Louis visiting my daughter and she insisted on taking me to her Chiropractor/Acupuncturist. This doctor had an entirely different approach which gave me some relief and she referred me to Dr. Hoch here in Fort Myers who she believe could continue to help me. On my first visit with Dr. Hoch she did took a detailed history of my problem and did an evaluation of my knee and also the surrounding muscles. It turns out that my IT band (Illio-tibial Band) was so tight and it was causing all of the pain down through my thigh, knee and calf. After just 12 treatments of electric-acupuncture accompanied by seep tissue massage by Dr. Hoch, I am now pain free! I have no more pockets of fluid around my knee and NO PAIN. Finally after 6 years I am a new person. I have so much more bend in my knee that I can play sports without medication. I just can’t believe it took 6 years to find someone who knew what they were doing and she has a caring and wonderful staff! It is wonderful to live pain free! I feel like I did before I had chemotherapy! Not too long ago I had a series of chemotherapy treatment to battle breast cancer. Since then, my body has never been the same: I had pain in my lower back that radiated down into my calf. I wasn’t sleeping well and had difficulty walking. I also was getting a pins and needles sensation on the top of my thigh. This area was my main concern because it was the most debilitating, but my arthritic kne…es and thumb were also painful. My friend told me to call Dr. Hoch & give Chiropractic a try. I figured that this was just damage from the chemo and nothing would help, but with my friend’s encouragement, I called and set up an appointment. Dr. Hoch examined me and then we discussed what the problem was – sciatica caused by “stuck” pelvic joints. She recommended a series of treatments that included physiotherapy and spinal adjustments. My symptoms relieved little by little from the first treatment. With the recommended stretches adjustments and therapies, my pain level improved and very soon after beginning care I didn’t need to take pain pills anymore. I was finding myself doing my normal everyday activities without much discomfort. It’s been just a little over two months and I feel like I did before the chemotherapy. I am very happy with my progress and will continue having spinal adjustments to maintain good health. Dr. Hoch told me to never underestimate the recooperative powers of the body. She gave me hope and I’m forever grateful. I was introduced to Dr. Hoch at Fort Myers Chiropractic Studio by my wife Stacey, and was in complete desperation. Just before Christmas 2016, I developed progressive pain in my neck that started out feeling just stiff and sore. That soreness quickly progressed to a point where I was completely debilitated. I went to the emergency room and despite getting high-caliber pain medication, nothing helped at all. Dr. Hoch understood the pain I was experiencing, and knew exactly what to do to help me. Within a few treatments and traction to relieve pressure in my neck, I started feeling like myself again. While being treated by Dr. Hoch, I was also under the care of a neurosurgeon and pain management physician. The surgeon ordered a MRI to see more closely what was going on. I was diagnosed with a severe C5-C6 disc herniation. He stated that with the degree of herniation I had, the only way to fix the problem would be surgery, however, my insurance company dictated that conservative treatment had to be exhausted first before moving on to that. For once, I am glad that the insurance company intervened to prevent that surgery because I didn’t want to go that route if I could avoid it. With Dr. Hoch’s help, I was not only just able to avoid surgery, but able to get back to work relatively quickly. Today, it has been only 3 months since this whole problem began. In that short period of time, I went from being unable to do anything, to not having any restrictions in my life. Not having restrictions is important because I am a nurse, and there isn’t such a thing as light duty in my field of work. I am thankful for the whole team at Fort Myers Chiropractic Studio, because without them, I’m certain I would still be recovering from surgery. I started coming to Fort Myers Chiropractic Studio last month, for neck and low back pain. For about 10 years, I have had some level of chronic pain and discomfort due to herniations in both my cervical (neck) and lumbar (lower back) spine. I’ve had MRIs showing this, and was told by my neurologist that surgery would be necessary. I already have a numb area on my left thigh and was told it would likely get worse without surgery. I’m a Physician Assistant, and I know how brutal spinal surgery can be and I decided I want nothing to do with having surgery on my spine – I was ready to just deal with the pain forever if need be. Then, about 2 months ago I was getting dressed, and when I bent over to put my pants on, I somehow “jarred” my back. I had immediate lower back pain… more intense than I had ever experienced. I was having a tough time bending over and wasn’t sleeping or able to stay asleep due to the pain. It’s awful when you’re tired to not be able to just lay down and get some rest! Somehow over those two months, I tolerated the pain, until it started affecting other areas of my daily life, like playing with my son. I knew it was time to get help. I saw an ad in a local community paper for Dr. Hoch and decided that I needed to try anything and everything I could …I did not want surgery! I have now been seeing Dr. Hoch for about 1 month, and can say that by my 4th treatment with her which consisted of spinal adjustments and electric muscle stimulation, my low back pain had already improved at the least 70%. Even my level of pain and range of motion of my neck has improved more than it has in a very long time. As I continued with my care over the next two weeks, I continued to improve. Dr. Hoch was even hopeful that the numb patch on my left leg would improve. She was able to reduce the numbness while working on my back, but it always returned. Frankly, I can live with that as I hardly even notice it, but being pain free has been LIFE changing! I feel fantastic! After only 9 treatments, Dr. Hoch has released me to maintenance care which will consist of only spinal adjustments geared toward keeping my spinal joints mobile and subluxation free. How had I never been to a Chiropractor before this??? How did I not know how amazing Chiropractic care is?? If maintenance care can keep me feeling this good, I am all in! I feel my body changing and getting better every day! I began my chiropractic journey by accident. My younger sister had a remarkable transformation under Dr. Christine Hoch’s care. She had seen many doctors and tried many prescription drugs in her attempt to live a comfortable life. She was unsuccessful for a very long time, to say the least. After just a few months of Dr. Hoch’s physical and emotional therapies, the transformation in her was unbelievable to me. Overall, I’m in pretty good shape (so my Wii tells me), but I get nagging back pain when I do activities for an extended length of time and the pain limits me for several days. So, I decided to go see Dr. Hoch. I immediately liked her holistic approach to healing without drugs and her honest feedback. It’s been just over a month since my treatments began and I feel my body changing and getting better every day. My mobility has improved significantly, enabling me to accomplish more and play more with my grandson! My goal is to become symmetrically balanced and maintain that state forever. I appreciate the positive energy, our conversations, the healthy articles and personal caring touch I receive from Dr. Hoch. After 26 years of smoking, I kicked the habit with Acupuncture! I was referred to Dr. Christine Hoch by a friend after complaining about back pain and a stiff neck. During my initial consultation, Dr. Hoch and I also discussed my bigger issue…smoking. Just a few weeks into my back treatments I was starting to feel wonderful, walking taller and sleeping better. Dr. Hoch kept talking to me about quitting smoking. I had good reasons to quit, my mother passed away at 46 from breast cancer and she was a smoker. I want to see my kids and grandkids grow up and most importantly, I had to do it for me. I’d smoked for 26 years and was feeling the effects. In November, Dr. Hoch started my acupuncture treatments. I was a nervous wreck about the needles, but I didn’t even feel them. I still had a few cravings…I just wanted a cigarette, but, as promised, I had no withdrawal symptoms. No headaches, no jitteriness or nervousness, like I would get in the past when I tried to quit. I kept thinking of why I was doing this. I broke down and had a few puffs over that weekend, but it didn’t taste good to me anymore and I found myself putting out the cigarette after just those few puffs. I’m finished with my treatments (I only had four) and I now am a non-smoker. I feel wonderful – no cough, no smelly clothes and I can walk up the stairs without being out of breath. Dr. Hoch and her caring staff supported me through this and have given me a new lease on life. Thank you so much Dr. Hoch and thank you to my friend for referring me to Dr. Hoch’s office. Chiropractic – I’m totally digging it! I was having severe headaches daily, neck pain, lower back pain, and numbness in both hands and fingers. The pain was an 8/10 on the pain scale and I couldn’t go to work because the headaches were so bad. I was trying every over the counter pain reliever I could think of to help alleviate the pain. My hearing was also being affected. The amplification of sounds were so loud that I couldn’t stand the noise from everyday life. On the recommendation of an acquaintance in the medical field who deals with holistic treatment, I decided to see Dr. Hoch. I was skeptical at first, however, the staff was competent, friendly, and I could tell they truly cared about their patients. Dr. Hoch recommended adjustments, EMS therapy, ultrasound, exercises, and I was also given some nutritional recommendations. Within a month, I noticed changes for the better. The numbness in my hands was the first symptom to resolve. Initially I started having fewer headaches that didn’t last as long, and my neck pain and tension began to disappear. Within 2 months my headaches were a distant memory as did my back pain. AND the auditory issues I was having are now completely gone! Chiropractic care has even helped me to manage and reduce stress. I feel fantastic about chiropractic care and I have told all of my friends and family that I am totally digging it! PS: Look at my before and after x-rays. You’re supposed to have a forward curve in your neck. When I started care, I didn’t have a curve…the poor positioning of my neck bones is what was causing all of my problems. See my after x-ray..I’m getting my curve back! Her Treatment Worked Wonders for Me! I was first introduced to the magic of chiropractic care when I had persistent neck and shoulder pain in college at home in Illinois. The pain was constant and would numb my hands at times. My only thought was “I’m too young for this!” so I was truly in denial. After much frustration, my mom introduced me to her chiropractor and I gave it a shot. It made a world of difference. Fast forward a few years and I had developed Sacroiliac Joint pain, right before making my move to Florida. I had a few treatments with my chiropractor, which helped, but after a 23-hour long drive to Florida, I was in desperate need of care. My boyfriend’s mom recommended I see Dr. Hoch, her chiropractor and friend. Walking in to Dr. Hoch’s office immediately puts me at ease. Erin is friendly and cheerful and knows me by name, which speaks volumes for a doctor’s office. Dr. Hoch is warm and kind. She smiles and takes the time to learn about her patients both in the medical and personal sense. I was treated with adjustments and electrodes, and given stretches and exercises to do at home. The treatment worked wonders for me. I still continue to return once a month for adjustments. I look forward to having a chat with Erin, my neck cracked by Dr. Hoch, and feel a weight lift off of me every time I leave her office. Overall, I feel so much of my pain and discomfort is gone. I also feel happier and more able to relax, where I was once tense and uncomfortable. I would highly recommend Dr. Hoch’s chiropractic care to anyone who is in pain. Sometimes we are unaware of how much discomfort we are in because we don’t know what healthy feels like anymore. I am happy to say I feel healthy. Dr. Chris is Awesome! Chiropractic is Awesome! I had been having Hip and Lower Back Pain & Stiffness, as well as, significant swelling and stiffness in both my knees for about a year. It was really affecting my day to day life. I had trouble getting out of bed in the mornings, getting out of my car or just getting up from a seated position after sitting for a little bit. I’d say on a scale of 10 (where 10 is the worst pain) my pain and discomfort rated a 7 on a daily basis. Some friends had watched me play in a pro tournament. I was really struggling with mobility and one of my students recommended that I see Dr. Hoch. When I met with Dr. Hoch and I began telling her about all that was going on with me, I asked her if there was any hope because I was really starting to worry if I would be able to continue in my job duties as a tennis pro. She examined me and assured me my hips were still in good shape but pointed out that my sacroiliac joints were not as mobile as they should be…I think the word she used was “stuck” and that my gluteal muscles and hamstrings were really tight. She began working on me immediately and I could not believe the difference in my mobility and how I felt after just that first treatment!!! She told me it would take about 4 weeks to really work out all my problems, and I believe her because after just 4 treatments I am feeling amazing and playing great tennis! Hello all! 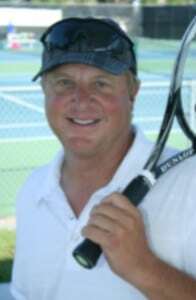 I was a competitive tennis player, and now a teaching professional. Throughout my career I have suffered from multiple different injuries, the most prevalent being my shoulder. After working with Dr. Hoch, my mobility has significantly increased, and I very rarely have pain in my shoulder anymore. Also, as I tend to be very injury prone, I have found that I recover much quicker than ever before from any new injuries. If you’re looking for a great chiropractor, I would definitely recommend you check Dr. Hoch out!! You won’t regret it! Dr. Hoch gets 5 Stars from me! I had plantar fasciitis – which was this terrible pain on the bottom of my foot and heel. The pain was so bad that I couldn’t even put my heel down on the floor. This started due to my increased time on the tennis court. So I mentioned it to Dr. Hoch, and initially she recommended stretching and physical therapy, as well as replacing my shoes for Tennis. By following Dr. Hoch’s treatment plan, it absolutely helped reduce my pain by about 60 %, but it was still persistent. So we discussed a different course of action and she recommended trying Acupuncture. After my 2nd session of Acupuncture, my pain was gone! My husband was referred to Dr Hoch by a friend when his back went out because of a simple movement. Dr Hoch had him standing upright again and out of pain after just a few visits. But more importantly, I learned that chiropractors do not just deal with back alignments, so I asked her to help me with my toe that had bothered me for 5 years and for which I had received cortisone shots and wore orthodics. After a few manipulations my toe has been so much better and I rarely ware the orthodics. We have become converts and now that we are back in CT, we have found another chiropractor for any future follow up that might be needed. Dr Hoch and her staff were so friendly and more importantly, she was able to help make us comfortable without medication or painkillers. Dr. Christine Hoch is Amazing! I have had chronic neck, shoulder, and arm pain for months due to an old injury. After only one treatment I was feeling %100 better. I absolutely love The atmosphere of her studio, very calming and relaxing. She takes her time to made sure I am comfortable. Every time I see her I am learning something new about my body. She is very thorough and explains every process of the treatment, also very knowledgeable when it comes to nutrition and supplements. Dr. Hoch has been my Champion: Back pain and headaches improved and a 33.5 pound weight loss too! Wonderful clinic and staff! Dr Hoch takes a whole body approach to treatment and provides exceptional service with a warm and compassionate demeanor. I could not be more pleased with my progress. I am walking upright again and the constant level 8-10 pain from which I was suffering has has been reduced to intermittent in just 2 short weeks! I have been to chiropractors in the past and never have I received the level of service and professionalism that I have with Dr Hoch. I have been a patient of Dr. Hoch’s for more than a year now. Quite a few years ago I was in a terrible car accident which shattered my left leg and required a multitude of surgeries (17 so far), involving a series of customized joints, rods and screws to hold everything together. (As a matter of fact, I’m waiting on another surgery date as I write this.) The wear and tear over the last 16 years due to the change in my gait and a second car accident 3 years ago resulted in a back injury that caused severe and chronic back pain and sciatica as well as a constant barrage of headaches and migraines. The back and sciatica pain was excruciating and at the point I met Dr. Hoch, I could barely walk or stand upright. I was also suffering from at least 4 – 6 headache days a week. Meeting her was the best thing that could have happened to me!! Within a few treatments she had me walking and standing upright again. Since starting and continuing my chiropractic care, my headache days have reduced dramatically in frequency and I’m down to just 3 or 4 per month! But her miraculous, life changing care for me didn’t end there. As you can probably imagine, between the leg and back injuries, I struggled with my weight because exercise is difficult, at best, and usually triggers my pain. Of course the added weight didn’t help my cause either. During one of my visits to Dr. Hoch, I noticed a new brochure in her office featuring weight loss. As I continued to read about the program, a glimmer of hope began to develop. This weight loss program required no exercise, in fact, exercise was discouraged. Could this really be? Would I really be able to finally lose the extra weight and positively impact the issues with my back and leg? I decided to give it a try. And now, I couldn’t be happier with the results. That’s my before and after thus far. Can you believe that I lost 33.5 pounds of FAT? I didn’t lose lean muscle or water weight…just FAT…7.5% of my body fat!! Can you believe I was able to lose it without ever being hungry (really!) and without ANY exercise at all?? After my 30 day program came to an end, my body composition test showed, that even after completing the program, I continued to lose fat!!! And I am STILL losing! Dr. Hoch coached me every step of the way, like she does for all of her patients. She has been my champion! And this program has changed my life forever!! For me, it has been nothing short of a miracle. If you have struggled to lose weight or have problems similar to mine, like bad knees or hips that keep you from exercising, I am telling you, THIS IS THE PROGRAM FOR YOU!! Call Dr. Hoch!! As a former patient of Dr. Hoch, I would highly recommend her work to anyone who is interested in a high level of care as well as maintenance. While in her care I saw a tremendous difference in my quality of life, which allowed me to maintain a much more healthy and active lifestyle. During the 5 years I was in Dr. Hoch’s care, I always knew I was in “great hands”! Dr. Hoch, I am planning a trip to Florida and will make a special effort to get to Ft. Myers Chiropractic Studio! Are you taking appointments in March? I was introduced to Doc. because my son was in and out of the hospital with major allergies… He would have trouble breathing. He was on several medication and we had a nebulizer machine he would have to be treated every night before bed. After just a year with Doc… My son was off all his medication and had not had an attack with breathing with his allergies anymore. My daughters were seeing Doc as well for headaches, shortly after receiving a few adjustments, their headaches went away. I used to get migraines so bad I would be unable to function for at least 2 days. After adjustments with Doc, I have not had a migraine in over 5 years. She is an Angel sent from heaven … I don’t know what we would have done without her. Do yourself a favor and give her a try…. You WILL NOT be disappointed. Dr. Hoch has given myself and my family chiropractic care for several years. She is very through and caring. After experiencing headaches for several years prior to meeting her, it wasn’t long after my first couple visits that she wanted to see if they were caused by some type of allergen. I wasn’t on any medication, so that option was put to the side. We did a food diary…that is when we began taking foods away and reintroduce them one at a time. It was because of her that we figured out I had a dairy allergy. Dr. Hoch has also helped with my sports injuries through chiropractic care. Bottom line is …everything is connected. If you keep your spine in line through her care your “internal wiring” will help keep you healthy and feeling good! Doc, you have been the most detailed, and caring person I have ever entrusted my wellbeing to. Having to maintain after my neck fracture has been a challenge since you left for warmer lands! I’m sure your caring, dedication to your clients’ overall health will be well recieved in Florida. Best of luck on your new venture! To new clients: Doc Hoch will guide you on your journey to total wellness, as far as you want to go. I took advantage of chiropractic and acupuncture services (amazing results). As well as attending a few wellness seminars. She allows you to follow your own path to find your, individual wellbeing. Dr. Hoch & Chiropractic gets 5 stars from my entire family! Dr. Hoch is a fantastic chiropractor! My wife and I entrusted her with our families health and well-being and were not disappointed with the care received. I’ve always been a proponent of chiro care and got my whole family into her office for our adjustments. From adults to newborns she has taken care of all of us and we wish she was still here! From regular adjustments to specific injuries she has the knowledge and skill that has gotten us back into shape. You will definitely benefit from the care and treatment you will receive from Dr. Hoch. I drove 45 minutes one way just to be treated by Dr. Hoch! Dr. Hoch has more than just helped our family throughout the years, she’s practically been a part of our family. I would drive 45 minutes one way because she is just THAT GOOD! Dr. Hoch is very professional, taking the time to properly assess your individual needs and establish a plan that will get your health to where you want it to be. My children have been going to her since they were babies, and I love the fact that they have always been very healthy and active children, without many of the traditional childhood illnesses. As the kids got older, my daughter became involved with competitive cheerleading. Her sport is very demanding on the joints, especially as the skill level/tumbling level increased in difficulty. Dr. Hoch’s knowledge of the body’s movements and understanding of exactly what Claudia did allowed her to treat Claudia, getting her pain-free. She spent extra time working with my daughter to show her stretches and strengthening moves to do outside of visits. Similarly with my son, Dr. Hoch would work with Grant to demonstrate stretches for his involvement with baseball and wrestling. I always find it interesting that Grant could tell if it’s been too long since he’d had an adjustment and would ask for an appointment. Chiropractic just helps you FEEL GOOD! Dr. Hoch’s focus on your lifestyle and how you want to live is what puts her above other doctors. Her all-encompassing approach is what makes her unique. She truly cares and wants to be able to help you be the best, healthiest you! Ft. Myers – you are unbelievably lucky to have her. Her Illinois patients miss her a great deal!!! es, and I love the fact that they have always been very healthy and active children, without many of the traditional childhood illnesses. Dr. Hoch’s focus on your lifestyle and how you want to live is what puts her above other doctors. Her all-encompassing approach is what makes her unique. She truly cares and wants to be able to help you be the best, healthiest you! Ft. Myers – you are unbelievably lucky to have her. Her Illinois patients miss her a great deal!!! Beautiful clinic and an amazing Doctor to run it! Dr. Hoch has the knowledge and compassion to put the patients needs first. Highly recommend her many services! Dr. Hoch is smart, professional & fun! On a recent visit to Fort Myers, Dr. Hoch helped me move from high pain to pain free in 4 days! & gave me excellent exercises for preventing future pain 🙂 She also provided excellent nutrition coaching – which has been a major factor in losing 22 lbs since. She is very smart, professional & fun !!! I will definitely return on my next visit & highly recommend her outstanding services !!!! My baby Jack has suffered from ear infections since he was one month old and had ten in his first year of life. A good friend of mine is a chiropractor (out of state) and she recommended I find a chiropractor in my area. I had never heard of taking a baby to a chiropractor. That is how I found Dr. Hoch. Since Jack’s adjustments started, he’s been much healthier. His complexion has cleared, the ear infections have been resolved and he’s even sleeping better. He’s a very happy baby. I’m so pleased with how chiropractic has changed his life and mine. Three month old children can’t tell you what’s wrong with them. All they can do is cry, and of course then you know something isn’t right. Before Bringing my 3 month old, Chase, in to see Dr. Hoch his nickname was crabapple. I knew my child had acid reflux because he had the same symptoms as my older son. He tried 3 different medications and none of them seemed to help. Thankfully, my friend recommended Dr. Hoch. Within a month Chase’s mood was better. He wasn’t crying all the time. He slept better and even smiled more. The first 3 months of his life was literally spent in my arms. Now he’s more a part of our family rather than my extra appendage. His older brother can play with him now. I was so worried that my babysitter would have difficulty with him because he was so needy, but now with a combination of mild medications and chiropractic adjustments, I can go to work and not have to worry about whether he’s miserable. I am very pleased with my experience. I broke my record…After just 2 adjustments I am headache free for a week!! That’s a new record for me- one that I’m looking forward to breaking again and again as I continue improving with my Chiropractic care. I have been living with chronic headaches for 4 years and thought that it was just something to try to adapt too, but now I know my new normal: pain free! With 6 kids, I finally put myself first and received some of the best chiropractic care. I now have so much energy with my headache-free days that my kids ask me, “Have you had coffee today, Mom? You’re the Energizer Bunny!” I love Dr. Hoch because she si concerned about treating the WHOLE body for total wellness. I’m telling everyone I know about Dr. Hoch’s chiropractic care, and I’m so excited for pain-free days to be my new normal. I was experiencing numbness in my hip and down my leg. My medical doctor prescribed pain killers, muscle relaxers, and physical therapy. The physical therapy was four times a week and really cut into my work schedule and consequently, my wages. After many weeks of physical therapy, the numbness was worse. It was now creeping down into my foot which seemed to be causing me to be unsteady when I walked. The physical therapist then recommended me to go back to my M.D. for more medications and an additional prescription for more physical therapy. My brother heard about the problems I was having and referred me to Dr Hoch. Within two visits with Dr. Hoch the numbness was gone. Within a few weeks the pain disappeared. Thinking back on all the time and money I wasted by following my doctors recommendations, I listen more closely to politicians when they talk about healthcare and what a mess we will all eventually be in if things don’t change. I am pain free and continue to see Dr. Hoch to maintain a healthy spine. About 4 years ago I had sciatica. I thought it went away on its own, but recently it came back with a vengeance! The pain originated in my low back and travelled all the way down my leg. It effected my whole life and just increasingly became worse until eventually I began having weakness and tingling. I couldn’t walk straight and sleeping was impossible. I have a Brother-in-law that deals with the side effects of back surgery so I realized I needed a more permanent fix to my problem than a few muscle relaxers and at this point invasive surgery was completely out of the question. Dr. Hoch’s website was interesting and very informative. It’s what drew me in to the office. The atmosphere at Natural Health is very positive. I have learned so much from Dr. Hoch. I was recommended exercises to do at home and also was explained how to use this wonderful tool called “the stick” which has helped loosen up the muscles in my back and legs. The exercises have helped my balance, strength, and flexibility. I have also learned the importance of icing! It’s free! And it really works. Within only a few visits my pain was manageable and my mobility improved so much. I have been under Dr. Hoch’s care receiving spinal adjustments, electrical muscle stimulation, ultrasound, and on occasion, massage for a few months and I no longer have to worry about pain. I sometimes wake up a little sore but after moving around the soreness goes away. I will continue to see Dr. Hoch on maintenance and I am careful to tell anyone who will listen about the positive experience I had at Dr. Hoch’s office. I’ve been a Chiropractic patient since November 2007. I initially came because I had a kink in my neck that worsened to the point where I was in extreme pain. This had happened to me in the past and massage would always help, but not this time. I was determined to find out why this kink in my neck kept reappearing. Before coming to Dr. Hoch’s office, I had a brief chiropractic experience that left me with limited temporary relief and disappointment. Even though my pain level was extreme, my first visit was comfortable and quick. I was even able to return to my job as a massage therapist that afternoon. I was impressed with how much detail went into reviewing my x-rays and scans. I finally knew why I’d sometimes wake up and couldn’t turn my head. My cervical spine had curve loss and was subluxated. I even learned what all that means because everyone at the office was careful to educate me about my spine and how it affects my nervous system and essentially my entire body. I was assigned exercises that enabled my posture to improve. I still do them from time to time when I feel stiff because they feel great! I became a patient at Dr. Hoch’s office, because my neck hurt, but through the many years of being on a maintenance program, I have noticed several positive things happening. I have less colds, I sleep well and am more rested in the morning. I used to suffer from ear infections 3- 4 times a year. They would last 7-10 days and be debilitating! In the past 6 yrs I have only had 1 ear infection. It was one year ago and lasted 3 days with minimal irritation. I even took part in the weight loss program and lost 17 pounds! I am now working in the office as an assistant to Dr. Anco and am so impressed by the quality of care that is offered. Every one’s care plan is customized to meet their individual needs. I am very proud to be a part of Dr. Hoch’s office. I decided to try chiropractic on the recommendation of my mom and my cousin who have had good success at the Dr. Hoch’s office. I’ve had frequent episodes of migraine-type headaches since 7th grade. At times, they keep me from activities because I don’t feel up to leaving the house. I saw a medical doctor in the past and they prescribed pain medication. I do not want to be taking pain meds all the time, it gets very frustrating. I also came to the office for nutritional help. Dr. Christine Hoch diagnosed me with irritable bowel syndrome. She recommended a diet of no wheat or dairy and I noticed a difference in one day! I have already lost some weight as a result. I have also had some improvement in my headaches; they have not been as frequent or severe. My recommended care plan was three times per week with therapy. I feel very well educated about my conditions. There are videos, posters on the walls, success story books, pamphlets and fliers and Dr. Hoch explains everything. As soon as you walk through the door everyone is friendly and you receive great patient care. You learn your body is what you make it so live a healthier life. I am telling everyone about chiropractic care! While vacationing in Hawaii this past December, I was flipped off of a wake board by a large wave. My head hit the ocean floor, I heard a crack, and my right arm went numb. I regained some movement in my arm, but I couldn’t lift it above my shoulder or turn my head to the right. I also had ringing in my ears, some dizziness, and headaches. I have experienced sports injuries before, but this was a different animal. It was suggested I seek chiropractic care. I had never been, but the following day I visited Dr. Christine Hoch’s office. We discussed the injury and my symptoms. Physical exams, several tests and x-rays were taken on the spot; nothing broken—thank God! The next day we discussed the findings, the treatments, an exercise plan and various payment and insurance options. Initial treatments were 3 times per week consisting of electric muscle stimulation therapy to the affected areas. It’s weird at first, but you learn to like it. This was followed by ultrasound treatments, which is a direct massaging of the affected areas, and then spinal adjustments. I could lift my arm and turn my head when I left her office that very day! It has been roughly six weeks since the injury and I have 95% mobility in my right arm and shoulder. The ringing and dizziness are better but will take some time to heal completely. I’ve never waited longer than a minute to be seen at the office. The other four staff members are as knowledgeable and helpful as you will ever find. This is a friendly, yet very professional environment. I learned two primary lessons. One, people from Illinois shouldn’t be riding 10 ft. waves. Two, I am now a true believer in Dr. Hoch, her staff, and chiropractic care. I first came to see Dr. Christine Hoch because I had been having headaches for the past two years. I was tired all the time, unable to function, and grumpy (as my mom can attest to). Someone my mom works with recommended I go to Dr. Hoch’s office. Dr. Hoch discovered that she had a food allergy and was able to help her. It turns out my headaches were caused by a wheat allergy. Dr. Hoch had me eliminate all wheat from my diet. It was a challenge at first, but the results were worth it! Within a week, once the wheat was out of my system, my headaches had lessened! Previously, I had been going to a neurologist. I was on migraine medicine and wasn’t getting positive results. I was surprised that after coming to see Dr. Hoch for only a week, I could already feel a difference. It was amazing! Not only have my headaches disappeared, but I’m not as grumpy. And now that I am eating healthier, I lost weight! Chiropractic care definitely works and I am happier because of it! Thank you Dr. Hoch! I started seeing Dr. Hoch for lower back pain after the birth of my second child. Over the course of my appointments we began to talk about Molly, my two month old. She was crying nonstop, spitting up, constipated for a week sometimes and just miserable. After trying colic calm and Zantac we were still having problems. I received the standard, “some babies just cry” or “she’ll grow out of it”. Family and friends would recommend things for me to try and then Dr. Hoch suggested I bring her in to her for a visit.Soon, we all (Jack, Molly, Me and my Husband, Mark) started getting regular chiropractic adjustments and slowly followed the recommendation by Dr. Hoch to become dairy- free. There is a huge difference now. Molly has been eating fine with no screaming afterwards. She also has regular bowel movements and is an all around happier baby. Before, no one would babysit because she would scream the whole time. Now, everyone comments on how she is always happy. The best part is as we did all of these things for Molly; Dr. Hoch was there to explain why and how we should follow her recommendations. I now know that a pill isn’t always the answer. Dr. Hoch wanted to do what’s best for my daughter and wanted to make sure that I had the right information I needed to make the best decisions for my daughter. I have never been to a doctor that lends books to her patients so they can be more informed. Dr. Hoch has helped every member of our family and we now feel great and healthy. What more can you ask for? I have dealt with on and off wrist pain, thumb cramps and numbness in a couple of my fingers for a number of years. Every time the symptoms would go away on there own and I would think maybe this is it. Maybe they won’t come back again. And just when I thought it was gone for good, it would be back. The last time this happened the problems didn’t seem to be going away like they had in the past. My general doctor, who I see for my diabetes, and my osteopathic doctor did a good job ruling out what wasn’t wrong but I became frustrated because it wasn’t gone and I didn’t know what it was. My wife suggested I come to see Dr. Hoch. She’s been Dr. Hoch’s patient for a number of years and when I heard she did acupuncture I thought maybe that could help.After scans and X-rays were taken, Dr. Hoch explained to me that my spine was misaligned. These subluxations were causing disturbances in the communication of my nervous system which was causing not only the pain and numbness, but also my craving for foods that stimulate sugar production, like coffee. In only one month of regular visits my pain is resolved. My grip feels stronger and the numbness has decreased. I hope that with regular maintenance adjustments it will continue to get better.I went from drinking 3 pots of coffee per day to 3 to 4 cups in one month. I can honestly attribute this to having the spinal adjustments and a better night’s sleep. Now I can enjoy my cup of coffee without using it as an aid to help keep me alert. It feels better to be more focused and relaxed. I no longer get the mid afternoon crash that I used to because my blood sugar is more regulated. Even my family has noticed that I deal with stress better.If I had the time and money I would come every day for an adjustment. I love the calming effect that it has on my mind and the stimulating effect it has on my body. I began seeing Dr. Hoch back in the spring of 2010. I had multiple complaints including anxiety, depression, low back pain, Asthma, frequent sinus infections, and digestive problems. I was sick through my whole childhood with a lot of sore throats, bronchitis, and even pneumonia. I’ve seen Medical Doctors for these problems my whole life but things never got any better. As I got older it seemed my list of problems got longer. I realized a more natural approach was the answer. I felt like I finally found a Dr. with whom I can absolutely trust and who respected me enough to take the time to teach me how all these complaints are connected. She explained that with regular spinal adjustments my nervous system would work more effectively free of subluxations of the spine. With regular adjustments, the quality of my life became more fulfilling. I still have occasional hurdles to jump but I feel stronger and equipped to handle situations that in the past overwhelmed me. My back and neck pain were gone! When I began treatment with Dr. Hoch I really couldn’t remember the last time I felt well. My main complaint was my sudden lower back pain, but I also had been dealing with chronic neck pain for years. I was impressed by Dr. Hoch’s thorough assessment of my condition. Her recommendations were a series of treatments including electrical stimulation, therapeutic ultrasound and of course adjustments. She also gave me exercises to strengthen my core muscles. We touched on nutrition and after hearing about her weight loss program I knew that I was interested. It sounded like just the thing I needed to get me feeling better about myself. After the first spinal adjustment I had no headaches! I’ve been a headache sufferer since the 10th grade. It seemed every time I’d overexert myself, I’d have a blinding headache. I’ve been treated by a neurologist, been prescribed medicine for it, even had physical therapy, but nothing seemed to improve the situation. As a professional athlete, this was beginning to affect my performance at work. Working out and running was bringing on these headaches and sometimes they would even just occur randomly. If there come a day when I hurt myself, I have Dr. Hoch to make me all better. I started seeing Dr. Hoch back in 2002. I stepped wrong and hurt my foot. It was swollen and didn’t seem to be healing. After Dr. Hoch assessed me, I was told I had a spinal condition related to the instability of my feet, lower extremities, pelvis and spine. Dr. Hoch ordered orthotic inserts for my shoes to correct my posture and recommended regular spinal adjustments to my lower back to try to correct my spine and pelvis. At first my adjustments were 3 times a week but as my condition improved and I no longer had any symptoms I only came in once a month for maintenance. That was ten years ago. I still come in almost every month for my regular spinal manipulations and I’ve been through many pairs of orthotics over the years, but I feel better having the adjustments. There are still days I wake up with one problem or another but it seems the problems resolve themselves. I also feel good knowing that if there ever does come a day when I hurt myself, I have Dr. Hoch to make me all better. I’m able to do the things I want to do without my body complaining too badly. I decided to give Dr. Hoch a try when a family member recommended her to me. I had sharp shooting pain from my lower back down my right leg. Standing and walking was difficult and it was a chore to get up from a seated position. This all started quite a few months ago. I guess I kept hoping it would just go away, but it just got worse. I finally realized that I needed help. Dr. Hoch warned me that because of the amount of time I had been suffering with this condition, it may take longer to get relief, but that’s not what happened. After the first treatment, the pain was a little better. After a couple of visits, instead of the pain being constant, it would come and go. You can’t imagine what a relief even that was. I really began to feel better when Dr. Hoch assigned me exercises to do at home. My leg pain improved! In just a short period of time all I was dealing with was some pain in my low back and very little pain down the right leg. I was moving better and able to get up from a seated position without restriction. I have been under Dr. Hoch’s care for nearly three weeks and although I understand it may take more visits to get full relief, I’m able to do the things I want to do without my body complaining too badly. I am very happy with the care I’ve received at Dr. Hoch’s office, and will recommend them to anyone I know who doesn’t want to be bothered with pain anymore. I began wondering what was so great about my husband’s chiropractor when he’d come home feeling “awesome” after having seen her. I have always had lower back pain, but it was tolerable. Since my pregnancy however, the pain has been a lot worse. I had a bit of reluctance. This is my first baby after all, and now I’m thinking about seeing a chiropractor for the first time. I kept thinking, “Don’t they crack you?” My husband assured me that it would be healthy for me and the baby, so I went. Dr. Hoch and her staff are so nice and helpful. I’ve learned a lot by going and now, most of the time, my lower back pain doesn’t bother me. That’s saying something because I’m 29 weeks pregnant and getting bigger with every breath! I love being adjusted and I have so much energy afterwards. To all you new Moms out there afraid to see a chiropractor don’t be. It feels good, and lets face it, there’s so little about being pregnant that feels good. I feel I have a safe support system in Dr. Hoch. I can tell her anything! I’m thankful to my husband for introducing me and our first born to chiropractic. Dr. Hoch helped me control my diabetes and I also lost weight! I was diagnosed with diabetes 5 years ago. At that time, I was prescribed 200mg (2 times per day) of Glucophage in order to control my blood sugar level. Over the last 4 years, that medication has been increased to 1000mg (2 times per day). However, my diabetes was still uncontrolled, so I was prescribed Actduo in addition to the Glucophage, as a secondary control, but my blood sugar levels kept crashing. Since beginning the 2ndmedication, I gained 20 lbs. in 3 months and craved sweets to an alarming degree. In March I decided to seek help from my chiropractor, Dr. Christine Hoch. I attended a free information workshop on weight loss & nutrition and found out how acupuncture may be helpful in controlling my weight and helping my diabetes. I decided to give it a try and am glad I did. I met with Dr. Hoch 1 time a week for 12 weeks. We discussed what I was eating, potential changes I could make, exercise, stress levels, and overall health. Dr. Hoch also suggested specific nutritional supplements to reduce the insulin resistance I was experiencing, and she provided acupuncture specifically to curb my sugar cravings and for my diabetes. Each week my weight was monitored and measurements taken. I continued to monitor my blood sugar levels with finger pricks and continued to regular blood-work with my medical doctor. The results were amazing. Between March and June my A1C dropped from 10.0 to 7.3. My fasting blood glucose has fallen from 270 to 139 and my daily blood glucose level from my finger prick is now an average of 116 (down from the average of 229). I cannot even begin to tell you how this has impacted my life. With these few changes, I have made outstanding progress in controlling my blood glucose levels. With the support of my Chiropractor and the education & information I have been given, anyone can clearly see this treatment makes a difference… the difference between living healthier or remaining in a life of misery and despair. Five years of medication didn’t work for me and probably never would! Oh, almost forgot, I lost 8 pounds which may not seem like a like, but my old clothes fit me again and I look like I lost 20!